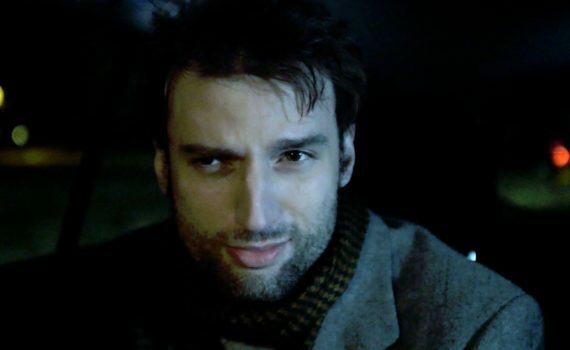 The purpose of any film is to touch the hearts of people and share with them a story they can relate to. What a great event we had tonight at the Yorkville American Legion Post #489! Veterans’ hearts were touched by a heartfelt story between Iraqi war veteran father with PTSD (actor C.J. Julianus) and his son Sam (actor Sheridan Archbold.) 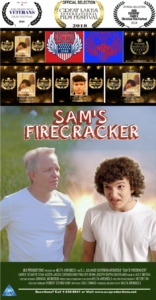 When I saw tears on veterans faces I understood that I accomplished my mission with “Sam’s Firecracker” chief goal was to bring families together, to find understanding between their hero father and a teenage son. Thank you, Veterans, for your service! 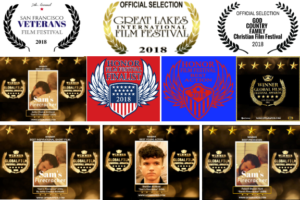 ACA Production’s team is so happy to know that you not only like the film, but it may help to get more understanding between you, your family, your children, and grandchildren. 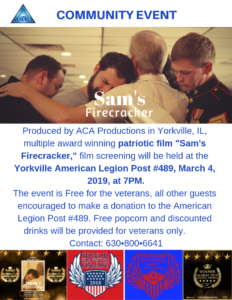 This film all veterans family’s Must Watch. 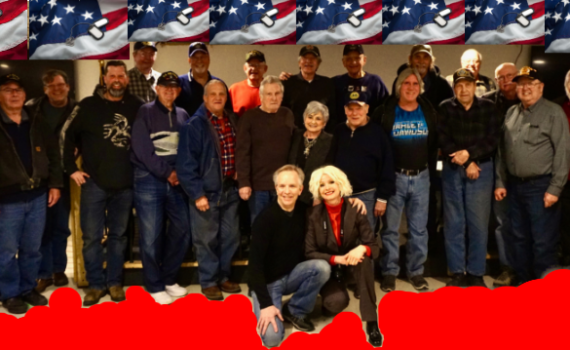 With the veterans of the Yorkville American Legion Post #489 and the lead actor (Father)C.J. 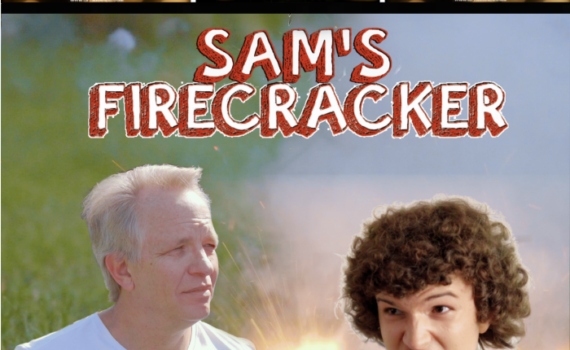 Julianus at the end of the premiere of the patriotic film “Sam’s Firecracker”. 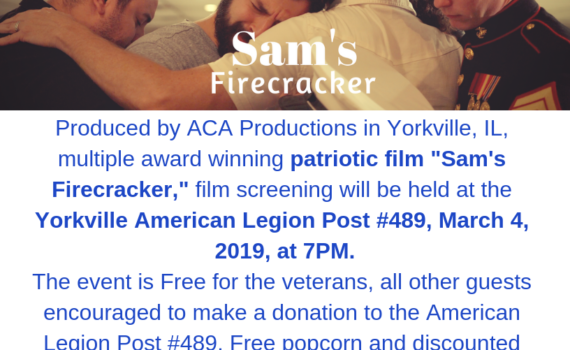 The multiple award-winning patriotic film “Sam’s Firecracker,” film premiere will be held at the Yorkville American Legion Post 489, on March 4, 2019, at 7 PM. The event is Free for the veterans all other guests encouraged to make a donation to the American Legion. 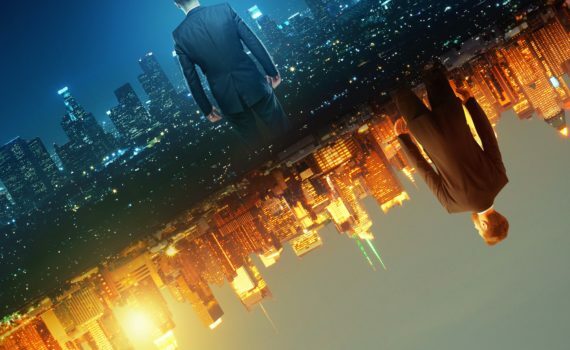 How Aspiring Filmmakers Can Use Cause Marketing To Connect With Audiences.